Madurai, situated on the banks of the Vaigai River, is one of the important cities in Tamil Nadu and a popular destination in the state. It is considered the cultural capital of the state owing to the large number of historical monuments and religious places in the city. 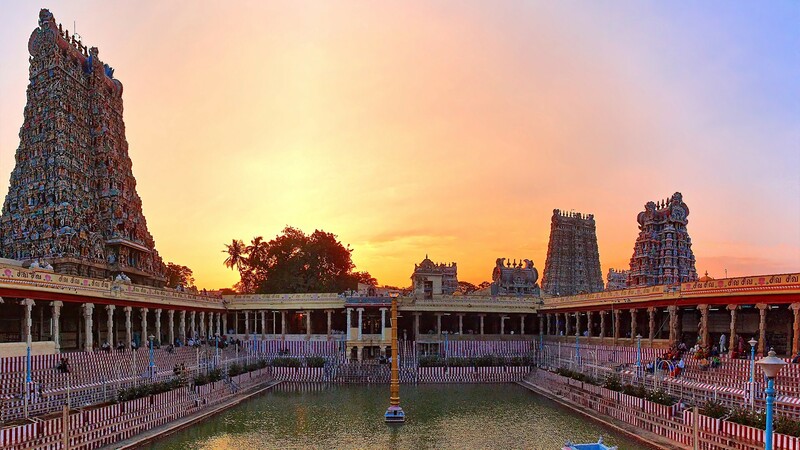 It attracts both pilgrims and tourists in equal numbers and given below is a small list of attractions that one must visit on their trip to Madurai. The Meenakshi Amman Temple, situated on the bank of the Vaigai river in Madurai is one of the most renowned attractions of the city. Meenakshi temple is dedicated to Goddess Parvati, known as Meenakshi, and her husband Shiva, the unique feature of this temple is that both idols are worshipped together. The magnificent Dravidian architecture of this temple, ecompassing 14 gopurams/ gateways towers, golden vimanas, holy sanctums and shrines dedicated to the Goddess Parvati and its intricately carved façade with wonderful art pieces incorporated in the walls and pillars are the greatest attraction, with thousands of devotees thronging this shrine on a daily basis. Constructed during the rule of the Nayak Dynasty, the Thirumalai Nayakar Mahal was erected by King Thirumalai Nayak, in close proximity to the Meenakshi Amman Temple. This magnificent palace is an amazing blend of Dravidian and Rajput style architecture and is considered as one of the spectacular monuments of Southern India. Believed to be 4 times larger than the current structure in the earlier days, this palace has a total of 248 massive pillars and some excellent stucco work done on the arches and domes of the palace. One can also admire the various sections of the royal residence, the pond, the garden, the shrine, theatre, armoury, apartments, royal bandstand and an amazing sound and light show at the palace. This gothic styled Roman Catholic Church, constructed with a blend of European, Continental and Roman style architecture, is located on East Veli Street in Madurai. 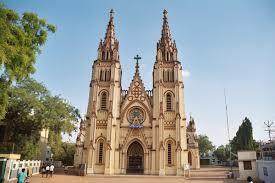 One of the oldest Roman Catholic Churches in India, St. Mary’s Cathedral was initially built as a modest little chapel in the mid-19th century and was given the title of a cathedral only in the 1960s. While the church has a beautiful look and feel to it, and a very tranquil atmosphere, it is the two bell towers and orange vaulting that are really attractive. The interior of the church too, exudes a very calm and peaceful vibe and the statue of Mother Mary within, is dressed in a saree. The church is worth visiting during Christmas to enjoy the Nativity decorations and beautiful illumination. This holy place is a Hindu temple and one of the six abodes of Murugan, located at Tirupparankunram, which is about 8 km from Madurai. A brilliant display of rock-cut architecture, this temple follows the Shaivite tradition of worship and is dedicated to Lord Murugan, the son of Lord Shiva, who is venerated as a favorite God of Tamilians. Regarded as a famous place for pilgrimage in southern India, this shrine also houses the deities of Shiva, Vishnu, Vinayaka and Durga, with the idols of Shiva and Vishnu facing each other in the main shrine, making it a rare and unusual sight in ancient Hindu temples as the Shaivites and Vaishnavites have always been two different groups. 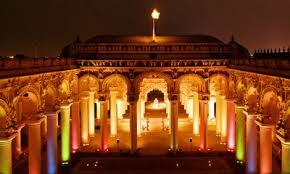 It is also considered a very holy and apt place for marriages. This hill rock complex is situated in Keelakuyikudi village, 15 kms from Madurai and literally means ‘Jain Hills’ in Tamil. 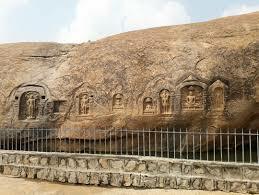 This hill has caves where the Tamil Jain monks lived at one time. Samanar Malai has many Tamil-Brahmi inscriptions, drawings and elaborate carvings by the monks, a number of stone beds where the monks used to rest and several sculptures. The hills have been declared as a protected monument by the Archaeological Survey of India. 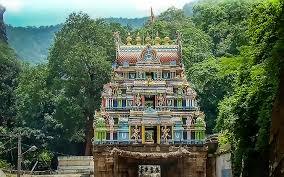 At the foothills there is a Karuppanasamy Temple and a Lotus Pond. Some of the idols made by the Jain monks are in this temple. The top of the hill provides tourists with a spectacular panoramic view of the countryside. 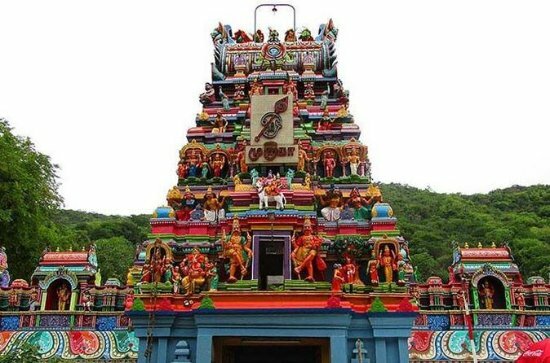 Situated in the village of Alagar Koyil in Tamil Nadu, the Kallazhagar Temple or Alagar Koyil Temple as more popularly known, is dedicated to the Hindu God Vishnu. This elaborately built temple has a seven-tiered Rajagopuram and is bordered in with a granite wall, thus enclosing all its shrines. Much like other temples in the south, the architecture of this temple is also designed with large gopurams and pillared mandapams. The life-size sculptures and colourful carvings are quite an attraction for tourists. The central shrine contains the presiding deity of Uraga-mellanayaan Perumaal in a reclining posture on a snake bed, very much like the Srirangam Ranganathaswamy Temple along with a few other statues, while there are several other shrines which contain other idols in the temple premises. This temple is classified as a Divyadesam, one of the 108 Vishnu temples mentioned in the book. Several daily rituals and regular festivals are celebrated here in a big way. 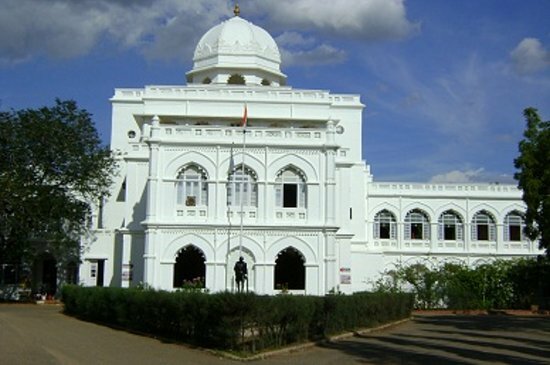 The Gandhi Memorial Museum, located in the heart of Madurai, pays homage to the Father of Our Nation, Mahatma Gandhi. Established in 1959, this museum is one of the five great Gandhi museums across the country and exhibits some very interesting mementos from the life and times of Gandhiji, including the blood-stained cloth that he was wearing at the time that he was assassinated in 1948. It is categorized as one of the Peace Museums worldwide and was selected by the United Nations Organisation. The museum is divided into 3 sections; a gallery depicting illustrations on the freedom movement, a section which allows visitors to take a peek into Gandhi’s life by way of his articles, personal photographs, letters to and by him, several relics and artifacts. The Kazimar Big Mosque or Kazimar Periya Pallivasal is the oldest mosque in Madurai city, having been constructed in the year 1284 AD and continues to stand strong for more than 7 centuries till today. This mosque which can accommodate approx 1500 people, is located just 1.5 km from the Meenakshi temple and about 1 km southeast of Madurai Railway Junction. It was the first muslim place of worship in Madurai, founded and managed by Kazi Syed Tajuddin during his lifetime, then followed by his children and subsequent descendents for over 7 centuries till date. 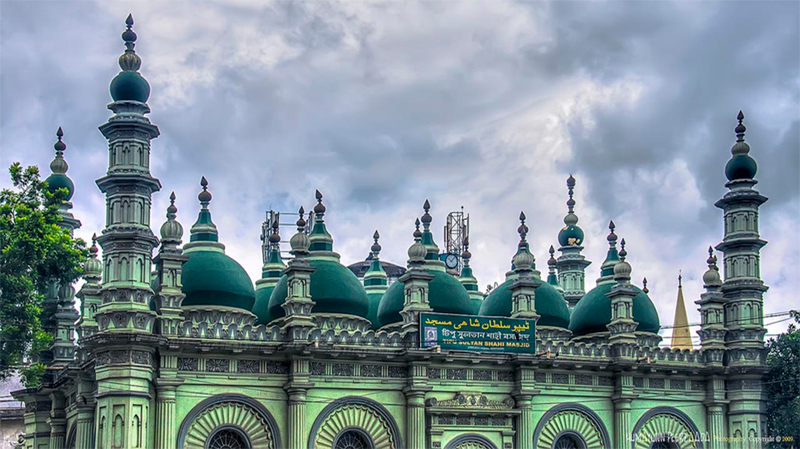 Most famous in this mosque is the Madurai Maqbara/ Dargah/ Grave of Madurai Hazrats – the descendants of Prophet Mohammed who are laid to rest here. Visitors from all across the country and from abroad come here for a spiritual visit. 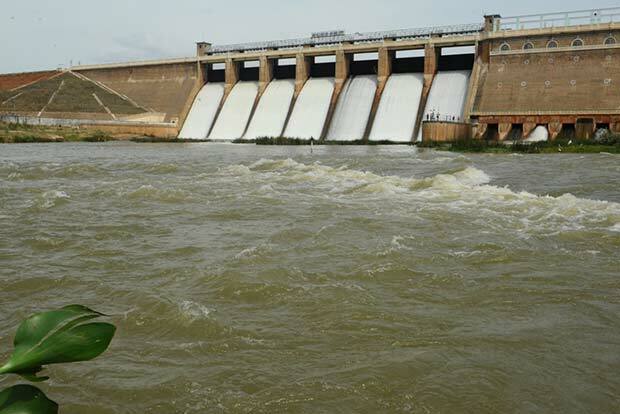 Located at a distance of about 70 kms from Madurai is the Vaigai Dam which is constructed over the Vaigai River near Andipatti. This location is quite a favourite with tourists who love to picnic here because of the spectacular view, especially in the evenings when the whole place is illuminated. Lush green hills border the river on one side of the dam, making it very picturesque for the viewer and on the other side of the dam is a beautiful garden, called Little Brindavan which is maintained by the management for visitors. The garden has a huge variety of exotic plants and flowers, exciting for nature lovers and a delightful play garden for children, making it an ideal relaxation spot for families. It’s worth catching a view of the sunrise by the dam too. Meghamalai is a mountain range situated in the western ghats in Theni district in Tamil Nadu. One can access these hills via Theni, about 76 km from Madurai or Andipatti, which is located at a distance of about 70 km from Madurai. The distance between Meghamalai and Madurai is 130 km. Also known as High Wavy Mountains, Meghamalai is a small, yet beautiful location found at an altitude of 1500 meters and ideal as a getaway from the heat to relax amongst nature. 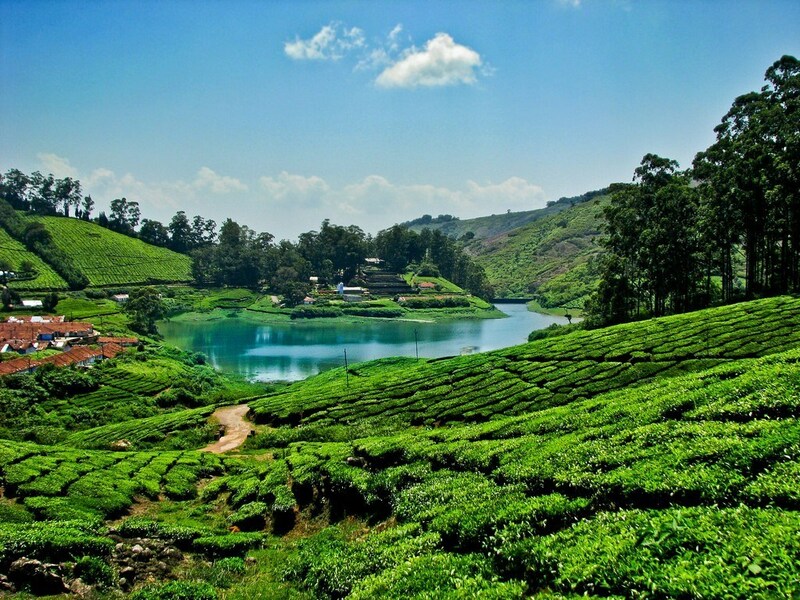 Blessed abundantly with dense green forests, spice plantations, green tea plantations and various flora and fauna, Meghamalai also has a wildlife sanctuary which has a lot of hidden wildlife in the dense forests and a very serene lake where one can find plenty of birds and animals quenching their thirst.